Age is just a number – or is it really? People in their prime or those who are in the golden years are now looking at their beds as a haven for rest and good sleep. However, many elderly seniors are suffering from aches and pains, and sleep deprivation which aggravates their current health conditions. Combine that with an old sagging mattress and chances are good, pain-free sleep may be hard to come by. If you’re an elderly sleeper, you often need more hours of sleep and rest compared to when you were younger and more active. While people’s minds can be relentless and active, as you get older your body cannot match this activity and needs more rest. This is the time when your choice can be your best friend or worst enemy. Investing in a good model that provides comfort and support is extremely important as you become older and especially if you have any health issues. Luckily, many manufacturers are out there and they offer products suitable to your needs. On average, an elderly person moves around more than someone in their 20’s or 30’s, somewhere between 40 to around 60 times per night without them knowing it. This is often because as you get older you tend to urinate more frequently and get up a lot of times before actually going to sleep. A medium to low profile model (around 10”) is often recommended as it won’t cause too much trouble getting in and out of the bed. Choosing the right firmness option is important as you get older, so that it fits with your health or body needs. Memory foam and latex models are popular now and are are good choices for the elderly. 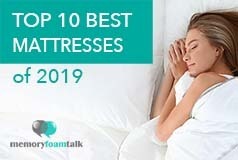 There are many new hybrid models and other innovations available as the industry is rapidly evolving and coming up with new breeds of mattresses that can provide comfort as well as value for money. When shopping for a model that fits the elderly, if you prefer the feel of the traditional innerspring mattresses with coils you should focus on the coil count. The idea is that the higher the number of coils, the more support you have right where you need it. 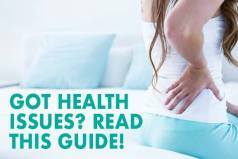 You probably don’t want to choose a model that is too firm or hard on your back. You want to strike a good balance between having good support and comfort. Pick a model that will evolve with you and can support your needs over time for at least around 7-10 years or so. Mattresses that are made of durable components such as innerspring coil, latex, and/or memory foam all will last a long time and prevent them from degrading and needing to be replaced. If the mattress is latex, then choosing a 100% natural latex model will be the best choice and last a long time. For memory foam mattresses, the density and quality of the foam is important, it’s advisable to look for one with CertiPUR-US certification to ensure there are no toxic chemicals that could cause health problems. Breathability is very important, especially to those who tend to sleep hot or are restless during sleep. 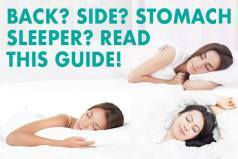 A breathable air mattress allows air in and out of it, so sleepers won’t end up tossing and turning all night. Traditional spring coil model can breathe the most easily as there is a lot of air between coils. Latex would be the second most recommended cooling material for mattresses, followed by gel memory foam. Traditional memory foam would probably be the last choice as foam can absory body heat and retain it. Mattresses also have a lifespan, which means they also experience fatigue and wear out over time. Unfortunately, unlike people, they do not have the capacity to “age gracefully”; so-to-speak. If it is around 7 years old or more and feels lumpy or sags, then it’s time to buy a new one. An aging bed combined with an elderly sleeper does not make a good equation because it can contribute to increased pain, numbness, and stiffness. The price may not really guarantee the quality. Knowing which one suits your lifestyle and health needs would be your best barometer for knowing what model to buy at this point in your life. 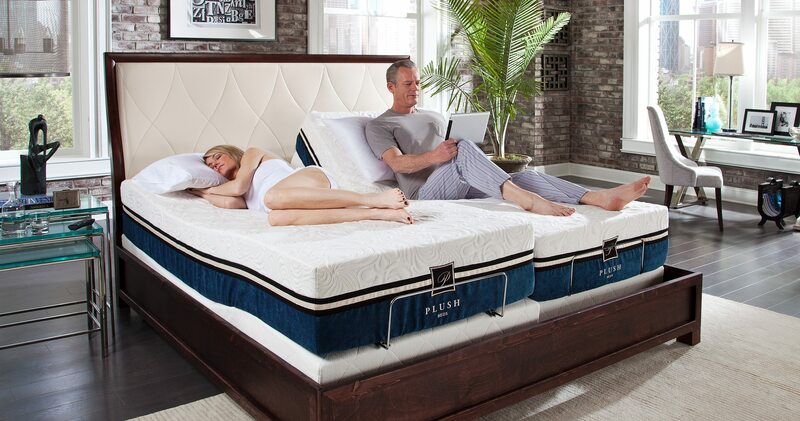 The PlushBeds Cool Bliss is made of premium and organic latex and memory foam that provides good body hug, contour, and conforms to the shape of your body. It has an appealing and classic top cover design that also readily absorbs moisture, and is breathable and soft which helps you to sleep cool. The Cool Bliss is softer, which you sink into initially, but it has excellent support in the support layers beneath. To help you sleep cool and comfortably at night, the PlushBeds has a breathable cover that dissipates heat and regulates body temperature. It is 12 inches thick and made of memory foam and latex, and it also has an excellent layer of cooling gel foam that keeps you refreshed and comfortable in your sleep. The PlushBeds Cool Bliss is very durable, resilient, and has just the right amount of bounce for support and comfort especially for the elderly. The PlushBeds certainly gives more value for your money as you are able to sleep comfortably for longer hours than usual. The Tempur Cloud Luxe Breeze provides you with that classic memory foam mattress feel with the plush support of TEMPUR material that is very responsive and conforms to your body movements and shape. It also adapts to your body temperature and helps dissipate heat when necessary to achieve a cool sleep. The Cloud Luxe Breeze comes with excellent motion isolation that will leave you undisturbed even with a partner that moves about during the night or a grandchild in bed. The Tempurpedic Cloud Luxe Breeze is an all foam model that provides that firm yet adjustable bed support needed on your head and back. The excellent edge support is ideal for the elderly who want a durable and sturdy product that can grow old with them and their changing needs. If you are looking for a luxury model that is within your budget then the Nectar fits right into the category. The Nectar gives you that feel of staying in a luxurious hotel with its plush and soft material and textured cover that provides you the luxury feel without breaking the bank. The Nectar provides the classic memory foam body cradling effect with a comfortable plush pillow top layer. It is recommended for the elderly who may sleep hot as this provides a cool gel infused memory foam layer which helps regulate body temperature. It provides medium firm support and is made of a highly durable core that helps alleviate stress and reduces back pain. The company offers an industry leading 365 night sleep trial for you to test it out and “forever warranty” as well as a price that can’t be beat.